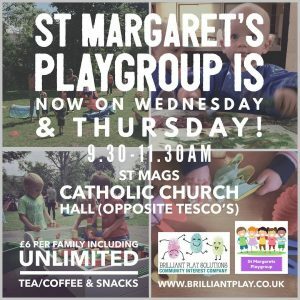 We are delighted to offer 4 drop in playgroup sessions locally. All of our playgroup sessions offer a warm and friendly place to meet other local parents and carers over a cuppa. Please see below for times/dates. As a community group we expect that everyone helps at set up and tidy up time-this also helps us to keep our costs down and means we can pass this saving on to you! 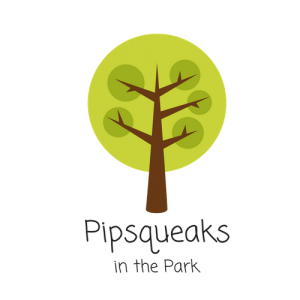 At our outdoor drop in nature play group in Marble Hill Park we utilise our beautiful surroundings for play. A portable mud kitchen, mini beast hunting and giant bubbles will make for a great session rain or shine! Play Pass– pre paid pass 10 sessions for £50. Valid for use at all of our playgroups for 6 months from date of purchase. You can purchase a Play Pass at any of our groups. We welcome older siblings at all of our sessions particularly in the holidays and love to meet visiting grandparents aunties and uncles at no extra charge!